Introducing your little one to solid foods can be an exciting time, but also one of stress for many parents. In these early weeks and months, the tastes and flavours your infant is exposed to will play a large role in shaping their eating habits for the rest of their life. Whilst this may sound like a daunting task, it’s a wonderful opportunity to teach your baby to enjoy a variety of healthy foods and to grow to love the process of eating. With our hints and tips, you can make this developmental milestone an enjoyable and wholesome one, as you embark on your child’s first flavor-filled journey. Repetition– with first tastes, it can take between six and sixteen flavor experiences before it becomes accepted. If your baby rejects a flavor on the first try – don’t give up! Learning to like certain foods is a process and a learnt skill for us all, so remember to be patient as you serve them to your baby again and again. Role models– you can’t ask your babies (or your toddlers and older children) to eat their veggies at each meal, yet not touch them yourself! 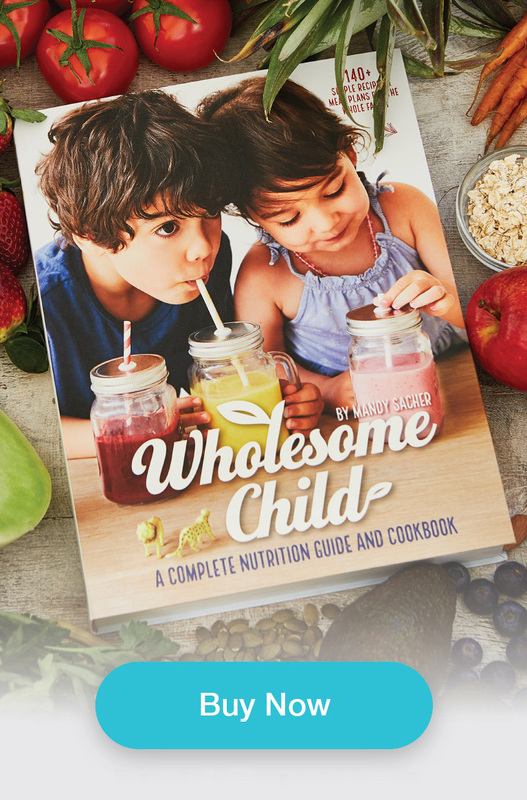 Children learn so much from our behavior, so the more they see you eating and enjoying a rainbow of veggies, fruits, proteins and wholefood carbohydrates, the more likely they are to want to mimic your choices. Avoid early commercial products and sugars– from the very first taste of food that touches your baby’s tongue, you are influencing their relationship with food and starting to shape their food preferences. Before introducing artificial tastes or overly sweet options, teach your baby to enjoy the flavor of homemade, freshly prepared, unsalted and unsweetened foods. These will then become the standard that other foods are compared to. 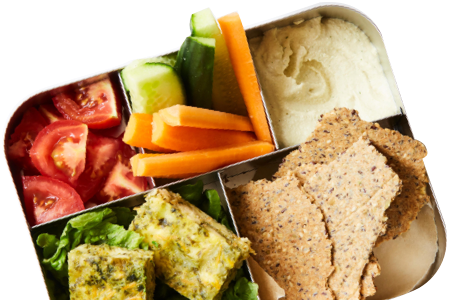 The canned and packaged foods should then taste foreign to tiny, selective taste buds, and helps your little one to make the most nutritious choices for themselves. Let your child be the leader – allow your baby to feel that he or she is leading the way and making their own choices – don’t force feed little people! Babies are very good at regulating their own appetites, so forget portion sizes. If your baby is being offered healthy, nourishing foods then there is no need to limit their portion size. If your little one is showing no real interest in food then the first thing to look at is their milk intake… are they drinking too much? If milk is not the problem and you are still concerned, then we recommend you consult an expert. Spoons and fingers: time to get messy– Allow your baby to reach for food and feed themselves. If your baby is being spoon-fed, offer them their own spoon to attempt to feed themselves. It’s sometimes easier to have two spoons at meal times, one for you and one for your child. If your little person refuses to be spoon fed, try offering finger foods but don’t limit their choices to ‘appropriate finger foods’ – offer oatmeal and make it thicker or offer bolognaise over spiral pasta shells so they can pick up shells covered in the nutritious sauce. From six months onwards is an ideal age to encourage finger feeding with safe and appropriate choices. Be creative and remember that enjoying food is a sensory experience. Mealtime is not a fancy dress party– whilst your baby or toddler might like to eat in a fairy dress or a pirate costume… try not to dress up and disguise their food too early on. Allow your baby to experience the true flavor of foods from the start. Children can reject food up to 14 times before giving it a go. Little taste buds are forever changing, so what’s not eaten today might become a firm favorite in the future – so don’t rush into disguising their veggies by adding them to fruit purees or sweetening their yogurt. Instead, allow them to taste the undoctored flavor and texture of the food you’re offering. Praise– encouragement at the dinner table is key. Praise your baby for eating new foods or finishing their food. Children love praise, and if both parents praise a child for eating well it can have a long-lasting effect, making mealtimes happy, positive experiences for the whole family. Family meals– eat together as a family, even if it is too early for you to eat your meal, you can put a little bit of food on a small plate for yourself and sit next to them and eat with them. Ensuring you have vegetables visible on your plate at each meal will help to spark their interest and encourage them to imitate your good habits. Fun– mealtimes should be fun! Why else do we as adults spend so much time dining out or inviting friends to our homes to join us for a meal? With your children, sing songs, make pictures out of vegetables sticks and dips – create imaginative ways to help your kids enjoy their mealtimes. Now is not the time to worry about the mess, or if their table manners are terrible, the most important thing is that they enjoy the whole sensorial experience – even if it means sticking their fingers into everything and eating with their hands!